As president of the Federal Reserve Bank of New York and then as President Barack Obama’s secretary of the Treasury, Timothy F. Geithner helped the United States navigate the worst financial crisis since the Great Depression, from boom to bust to rescue to recovery. In a candid, riveting, and historically illuminating memoir, he takes readers behind the scenes of the crisis, explaining the hard choices and politically unpalatable decisions he made to repair a broken financial system and prevent the collapse of the Main Street economy. This is the inside story of how a small group of policy makers—in a thick fog of uncertainty, with unimaginably high stakes—helped avoid a second depression but lost the American people doing it. 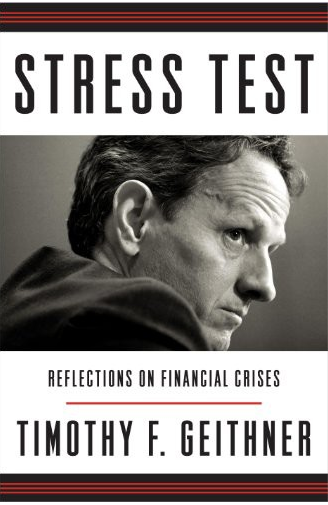 Stress Test is also a valuable guide to how governments can better manage financial crises, because this one won’t be the last.